The State Food and Civil Supplies Department is in the process of acquiring Point of Sale (PoS) machines to complete the end-to-end computerization under National Food Security Act (NFSA). These machines are handheld devices that allowed Aadhaar authentication at the moment of distribution, ensuring that the proper beneficiary receives their allocated ration. The PoS machine also has a scale, which allows for proper measuring which ensures that the beneficiary receives their full amount of ration. Additionally, these PoS machines allow real time location information, allowing the Food and Civil Supplies Department to track the movement of grains from storage godowns up to the receipt of ration beneficiary at the Point of Sale. All such information allows for greater transparency and accountability in the scheme, effectively eliminating the chances of pilferage, and increasing the management capability of the department. This device related to the computerization of operations at the Fair Price Shop where Aadhaar is the basis of authentication of the beneficiary at the time of food grains delivery. All Fair Price Shops (FPSs) will be equipped with PoS terminals for the purpose of authenticating/verifying beneficiaries before commodity distribution. One crucial feature of the process is that the closing balances will be updated in database through all PoS transaction from FPS. PoS terminal with in-build finger print scanner is specially designed to address Public Distribution System (PDS) and all Aadhaar based transactions with Standardization, Testing and Quality Certification (STQC) Certified Bio-Metric Authentication. It is based on Charge Coupled Device (CCD) finger print and comes with connectivity options like GSM/GPRS, CDMA and Ethernet. Apart from this, PoS supports interfaces with all types of payment gateways and Aadhaar Server with related logical interfaces for Magnetic stripe reader and Smart card reader for Aadhaar Authentication. The salient features of e-PoS is that it has Touch Screen TFT LCD, Virtual Keypad on LCD, QWERTY Keypad, Build-in Magnetic Swipe Card Reader, Smart Card Reader/Contactless Reader, Bluetooth, High Performance STQC Certified Optical Sensor, Finger Print Scanner, in-built Speaker for announcements and inbuilt GPS. Likewise, the services provided through e-PoS application included delivery of wheat through online Aadhaar authentication of ration card holders, sale of PDS commodities, cashless transactions and creating awareness. This machine will go a long way in creating information visibility of supply chain, which will reduce diversion besides ensuring transparency in the movement of wheat from De-Centralized Procurement (DCP) godown to the Point of Sale, generation of delivery order, truck challans, receipts enabling tracking of stock movement from DCP godowns to FPS/ Point of Sale besides obtaining up-to-date statements of stock lifting and available stock at various stock points. 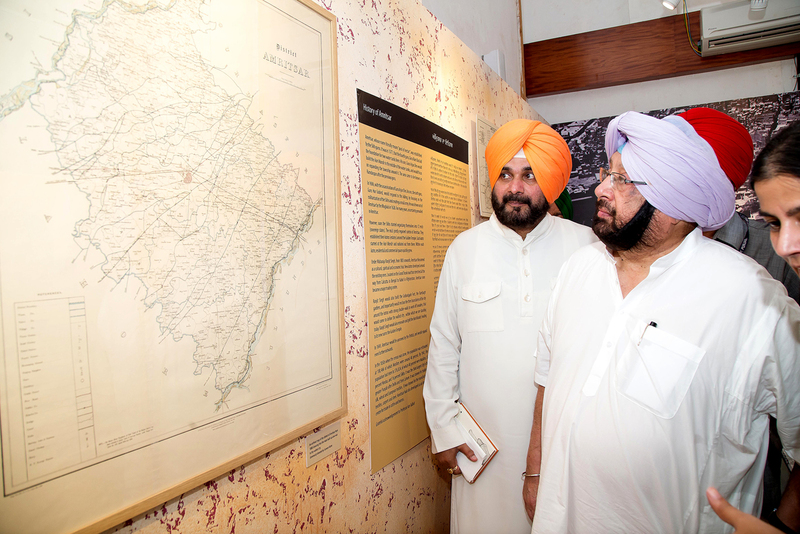 It was a sombre moment as Punjab Chief Minister Captain Amarinder Singh unveiled the plaque of the world’s first Partition Museum at a special commemoration ceremony which scripted the observation of August 17 as the Partition Remembrance Day. A minute of silence was observed after the ringing of a bell at the historic Town Hall, Amritsar, where the Museum has been built. The Chief Minister dedicated the Museum, developed in collaboration with the state government, to the nation on the occasion, with a call for learning lessons from history to ensure that such a sad event is never repeated in any part of the world. 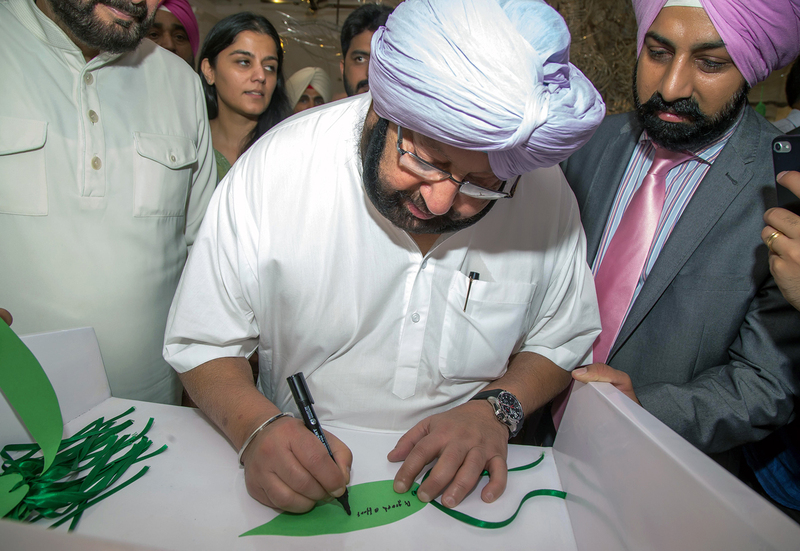 Capt Amarinder, in his speech filled with memories and emotions of the sad chapter of Indian history, lauded the efforts of Lord Meghnad Desai in giving shape to the first-of-its-kind museum, which had “recreated a very said chapter of our history.” The museum, along with The Azadi Memorial in Jalandhar and similar initiatives, would serve to help the younger generations know and understand their past and learn from it, said the Chief Minister, adding that no nation could do well without learning their lessons from history. The Chief Minister said that while for the younger generation, those days of the partition had been reduced to statistics, those who went through it had many sad and grim memories of those times. The museum, he said, would help the youngsters actually see and experience one of the greatest migrations in history. He recalled his own memories of the partition, when, as a young boy, he was coming back home from his boarding school in Shimla in a train and had pushed the curtain aside to see bodies lying at one of the stations. It was a memory still etched in his mind, he added. The Chief Minister also recalled the work done by his mother, Rajmata Mohinder Kaur, who passed away recently, to help return refugee girls back to their homes. He recalled how her major memory of those days was that many of the girls forcibly sent back home were happily settled in their new homes across the border and did not want to leave their children and families but were forced to do so following an agreement by the governments of India and Pakistan. 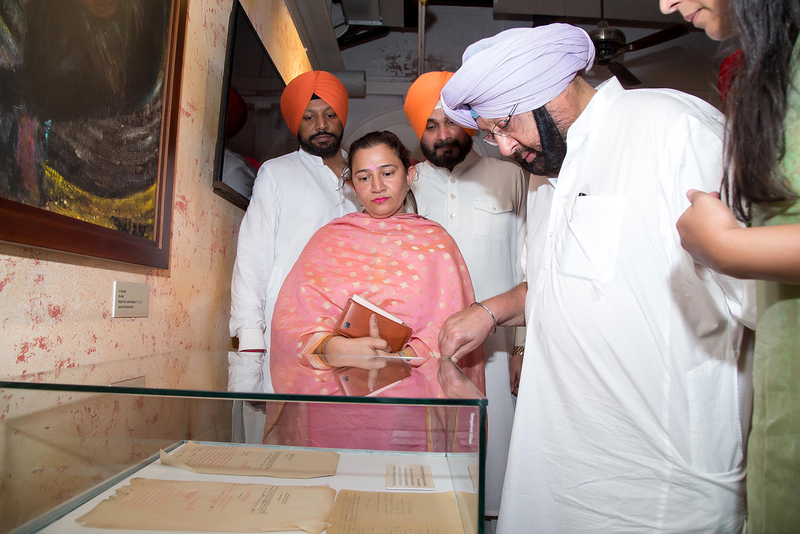 Captain Amarinder later walked around the Museum in what he described as a memorable experience which brought many memories to life. The Punjab Government, which has supported the construction of the Museum, has already declared 17th of August as ’Partition Remembrance Day’. Seventy years after India became independent, hundreds of young men and women experienced, for the first time in their lives, the pain and suffering their parents/grandparents had gone through during one of the world’s biggest exodus across the border. As they came face to face with many grim reminders of that painful history, one could see a wave of emotions stream their eyes. 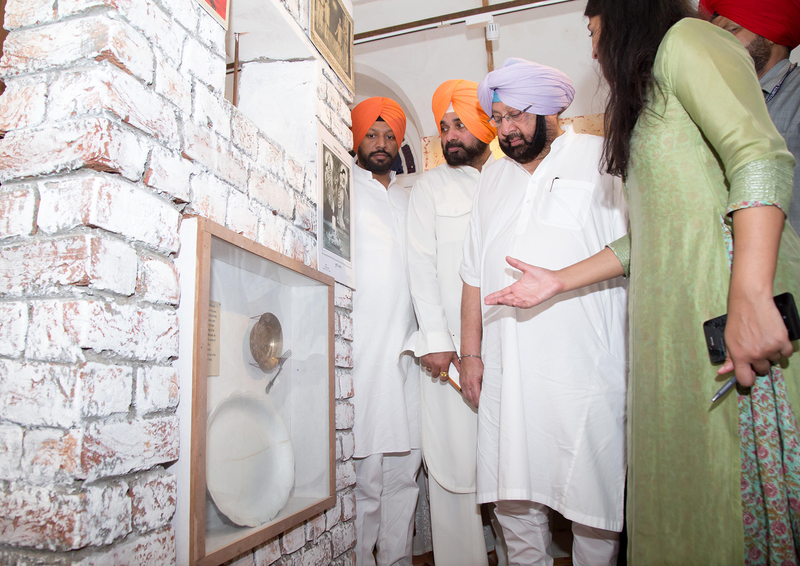 Earlier, addressing the gathering, Minister of Local Government, Tourism, Cultural Affairs, Archives and Museums, Navjot Singh Sidhu described the Museum as the story of human resolve and resilience, as well as the indomitable human spirit. 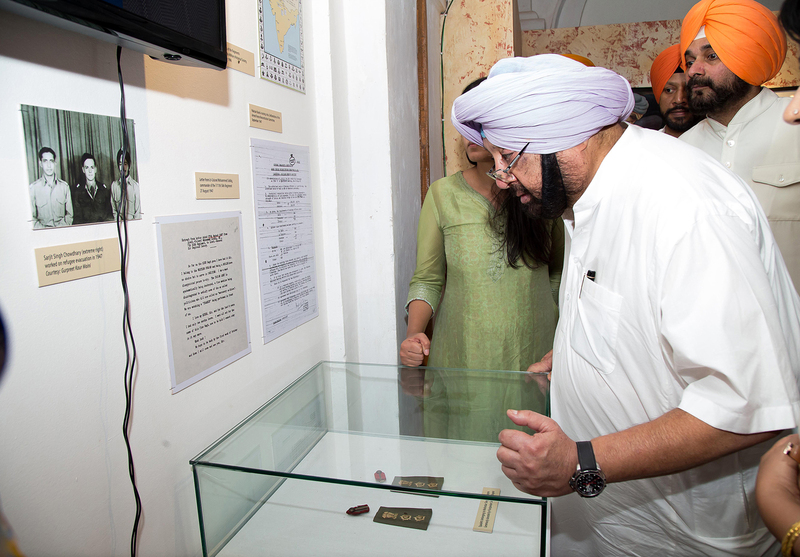 The Museum had revived history which was getting lost in the sands of time, he said, adding that Captain Amarinder had created history by opening the museum. 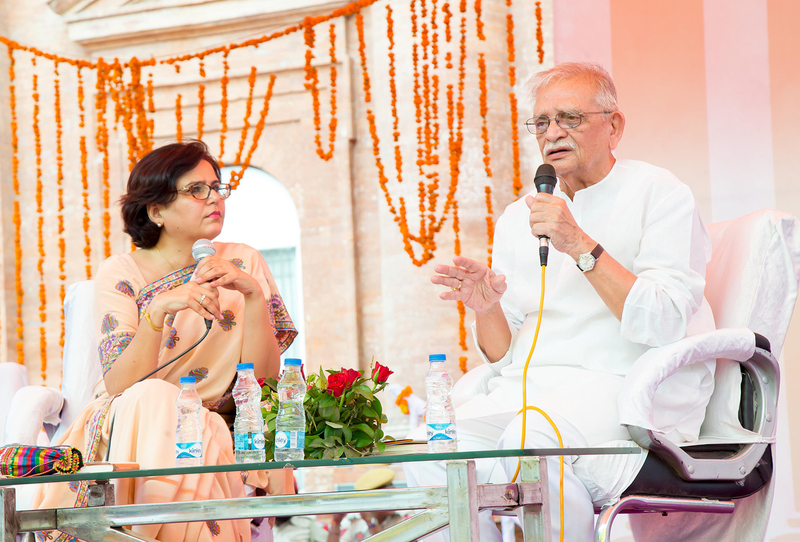 The event, which was marked by a poetry recital by Gulzar, who launched his newly translated book, Footprints on Zero Line: Writings on the Partition, on the occasion, was marked by a series of events, including panel discussions with eminent experts such as Urvashi Butalia and the poet Surjit Patar, a short play on Partition by Kahaniwala, and Sufi music recital by the Hashmat Sultana sisters. 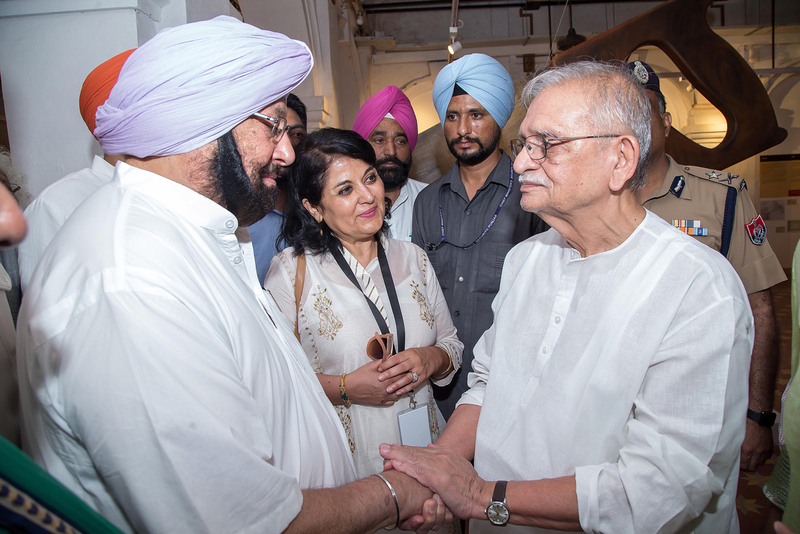 Addressing the gathering, the Partition Museum Trust Chair, Lady Kishwar Desai, thanked the state government, led by Captain Amarinder, for its support to the development of the unique Museum, dedicated to the spirit and courage of the Partition survivors. She also expressed her gratitude to those without whose donations the museum would not have become a reality. Advertising Guru Suhel Seth, who has the Gallery of Migration named after his parents, described his contribution as a `befitting tribute from a grateful son.’ Padmashri V S Sahney (a Trustee of TAACHT), Chair of the Sun Foundation, described it as a people’s museum, whose inauguration was a solemn occasion. Built in the long-neglected Town Hall building at Katra Ahluwalia near the Golden Temple complex, the Museum is inspired by the stories of Urdu writer Saadat Hasan Manto, who belonged to Amritsar and whose family home in Gali Vakilan was among the 40% houses destroyed in the Partition communal violence. The Museum has put together mementos and material of 1947 shared by various people and is a walk down memory lane, with its pictures, paintings and videos. A hall of the freedom struggle plays piped songs of resistance from the two regions most active in the struggle and a sad poem by Amrita Pritam, addressed to Waris Shah, plays in the background. A wall-hanging reads that 9,423 abducted women were recovered from India and sent to Pakistan between December 1947 and July 1948. 5,510 women abducted women recovered from Pakistan were sent to India. A Hall of Hope brings one out of the Museum of misery, with paper hangings of migratory birds leading the way, and a Tree of Hope, crafted from barbed wire by designer Neeraj Sahai, standing out as a symbol of hope for the people of both India and Pakistan. Partition Museum – an initiative of The Arts and Cultural Heritage Trust or TAACHT, is a tribute to the sacrifices of the millions of people who lost their lives and homes in the partition of the country in 1947. Punjab Police DSP Avneet Kaur Sidhu has won 4 medals in shooting and AIG Ashish Kapo or won 2 medals in Tennis events during the World Police and Fire Games (WPFG) held from August 7 to 17 in Los Angles, USA. Bathinda based Olympian and ace shooter Avneet Sidhu clinched 1 Gold, 1 Silver and 2 Bronzes in different events of Rifle Shooting whereas Mr Kapoor has won gold by convincingly beaten his opponents in both singles and doubles titles. It is mentioned here that the WPFG games are being held after every two years in which officers/officials from Police and Fire departments from all over the world compete in the different events. It is a sort of mini Olympics for sportspersons from Police and Fire and more than 12,000 participants from the world had participated in the sports and fire fighting events during this year. Earlier, Arjuna Awardee Avneet Sidhu had won one gold and one silver medal in 18th Commonwealth Games-2006 held at Melbourne (Australia) and bronze medal in 15th Asian Games-2006 at Doha (Qatar). AIG Kapoor has made the country proud by winning medals for the consecutive 5th time since 2009 in these games. In his debut in 2009 in WPFG games at Vancouver, he had won bronze medal in tennis singles. In New York games-2011 he got Silver whereas in Belfast, Ireland (2013) and Fairfax USA (2015) he clinched Gold medals. 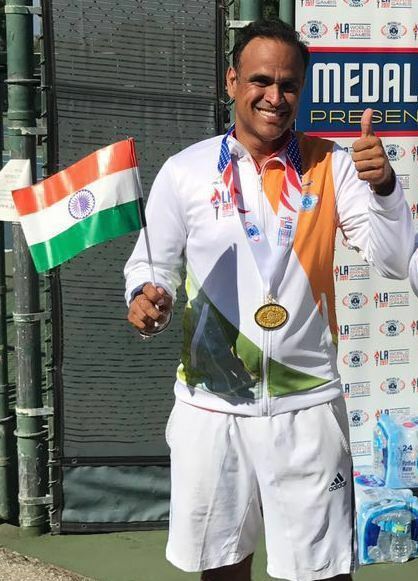 It is mentioned here that Mr Ashish is All India Police champion in Tennis singles events for the last 15 years and a top seeded in this event. Aiming to stamp out corruption from public offices, the State Vigilance Bureau has adopted multi-faceted approach to corner the bribery seekers and aware the public during this drive to make the Punjab ahead in curbing the social malady. Giving more details vigilance chief Mr. Uppal said all the field officers of six vigilance ranges have been directed to sensitize the public as well as government officials through awareness camps in the ranges. He further revealed that the Bureau had laid down 44 traps in last three months in which 52 public servants have been nabbed red handed. To keep a tab on the bribery complaints in public dealing offices, Mr. B.K. Uppal has advised the senior officers of the PSPCL, Revenue, Police etc posted in the field to keep strict vigil and monitor their grievances redressal mechanisms so as root cause of the evil could be nipped in the bud. Vigilance Chief has asked the public as well as honest public servants to help the Bureau in its anti-corruption drive in the state and inform the Bureau on its toll freehelpline 1800-1800-1000 or lodge online complaint on VB website if any public servant demands bribe. He assured that information and identity of the informers would be kept strictly confidential. He stressed that no innocent officer/official be harassed in any manner and the honest officers should perform their duties without any fear or stress. Reiterating mission statement of Bureau, a couplet from Gurbani, “Suchh Hovey Ta Sach Paayiye”, he has categorically said any misconduct on the part of its own officials would not be tolerated at any cost to get rid of corruption. Various foreign companies, including Russia, China and UAE, have evinced interest in setting up business units in diverse areas, such as defence and metro railway, in Punjab. 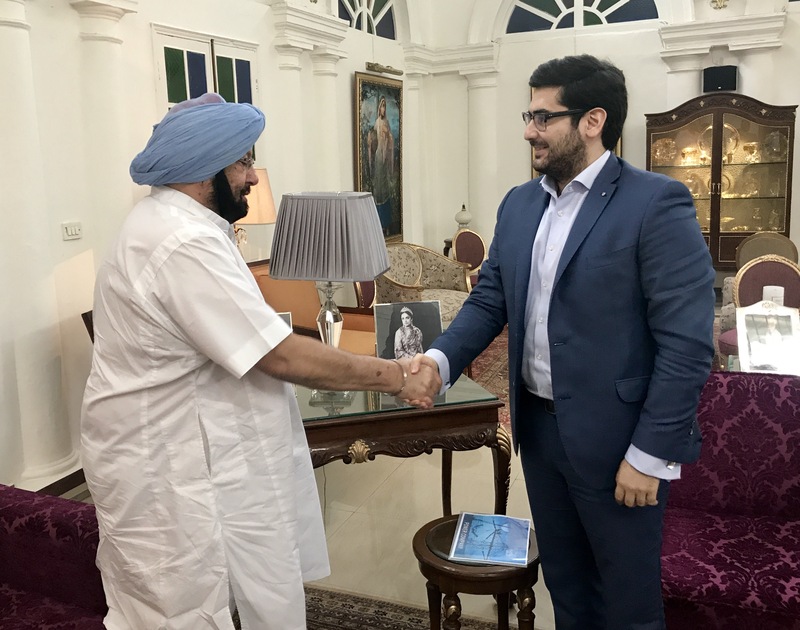 Mr. Vigen Sogomonyan, Head Corporate Banking, SBERBANK with Punjab Chief Minister Captain Amarinder Singh at New Delhi on Tuesday. A Sberbank representative, on behalf of Energo Group Company LLC, met the Chief Minister Capt. Amarinder Singh with a proposal for waste-to-energy projects in the state, offering turnkey solutions for renewable energy projects. Vigen Sogomonyan, Head – Corporate Banking, said the Russian company Energo had done extensive research in Punjab and seeing the state’s agriculture potential, would like to explore opportunities for setting up a waste-to-energy technological plant in Punjab within the `Make in India’ framework. The plant, according to the company, would create energy from raw material such as animal dung, agriculture waste etc. Sberbank conveyed to the Chief Minister that a Russian helicopter manufacturing company was interested in setting up a facility in India. The chief minister said his government was willing to offer the necessary land and suggested that the company make a formal presentation to the state government in this regard. Several companies were also interested in establishing defence manufacturing units in Punjab, said Vigen. 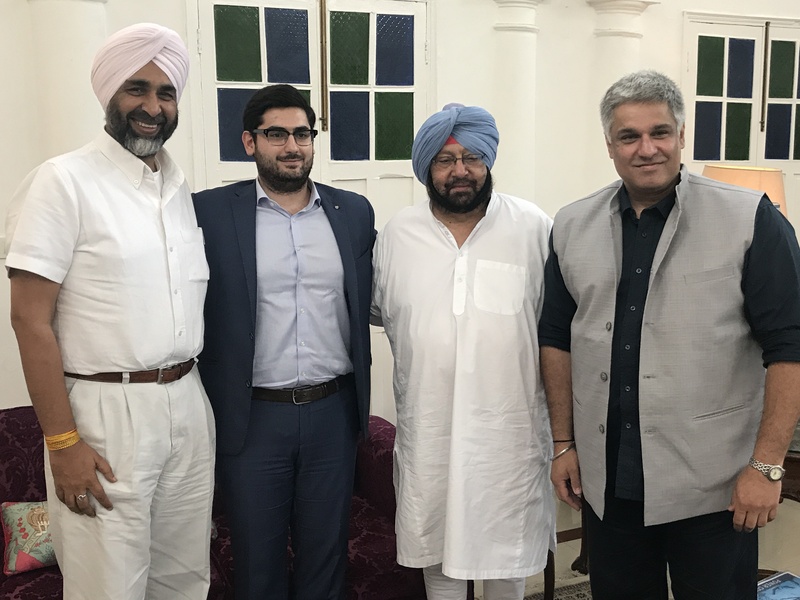 Mr. Vigen Sogomonyan, Head Corporate Banking, SBERBANK and Managing Director Great Eagle Group Kartik Chopra with Punjab Chief Minister Captain Amarinder Singh and Finance Minister Manpreet Singh Badal at New Delhi on Tuesday. Kartik Chopra, Managing Director of the Great Eagle Group, also attended the meeting and told the chief minister of Beijing’s interest in launching a metro project in Ludhiana. Captain Amarinder said he was willing to explore the possibility after going through the details and asked the delegation to put the company officials in touch with his government. 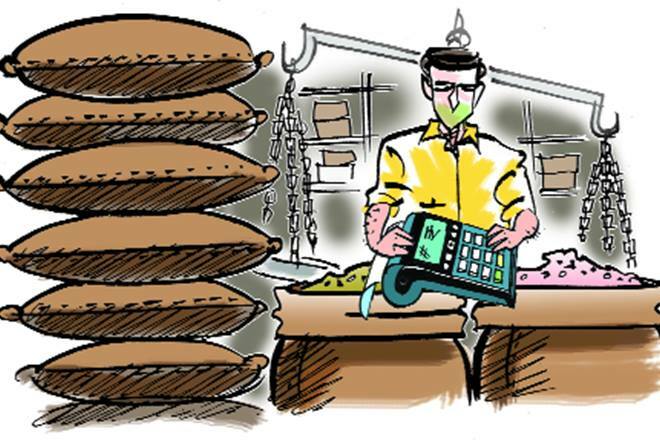 Chopra also proposed food processing units for exports to the UAE, to which the Chief Minister responded positively, according to the spokesperson. Others at the meeting included Punjab Finance Minister Manpreet Badal and other senior officials of the Finance Department. 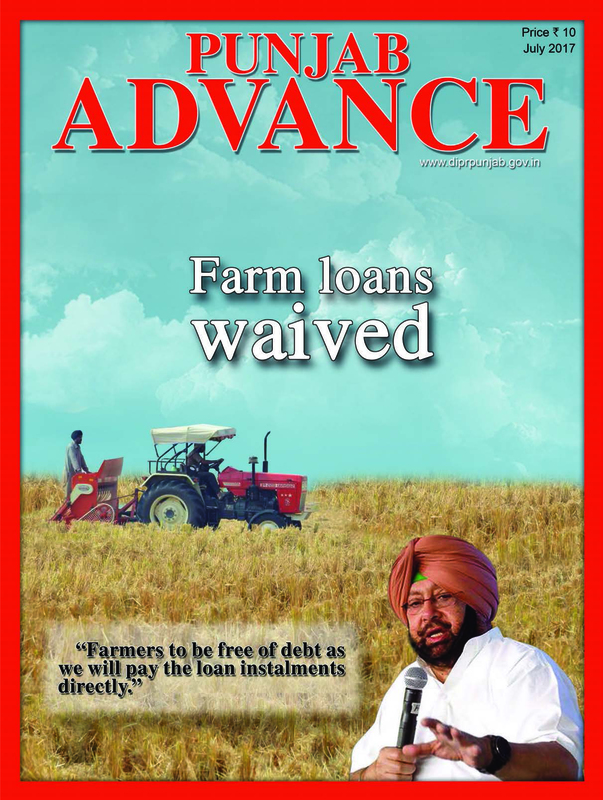 The Punjab government led by Captain Amarinder has opened the doors to foreign investors in a big way with its various investor-friendly initiatives since taking over the reins of the government in March this year. Various other countries have also shown interest in collaborating with the Punjab government in various areas of business, the spokesperson pointed out. Village Biroki Kalan of Mansa was replete with swings decorated with flowers, folk dancers and musicians filling the air with their moves and music, as many as five thousand women in lovely costumes, bangles, parandis, joined in the celebrations, with mehndi applying, charkha and dance competitions adding to the festivities. Live performance by living legend Gurmeet Bawa, had the audience completely mesmerized with her voice and songs. For many young men and women here, the occasion was a chance to be re-introduced to the many traditions associated with Teej. Teej, which welcomes the onset of the monsoon, was traditionally a festive time for women to come back home to their parents, sing, dance, wear beautiful traditional clothes and eat specialties of the monsoon with their family and friends. 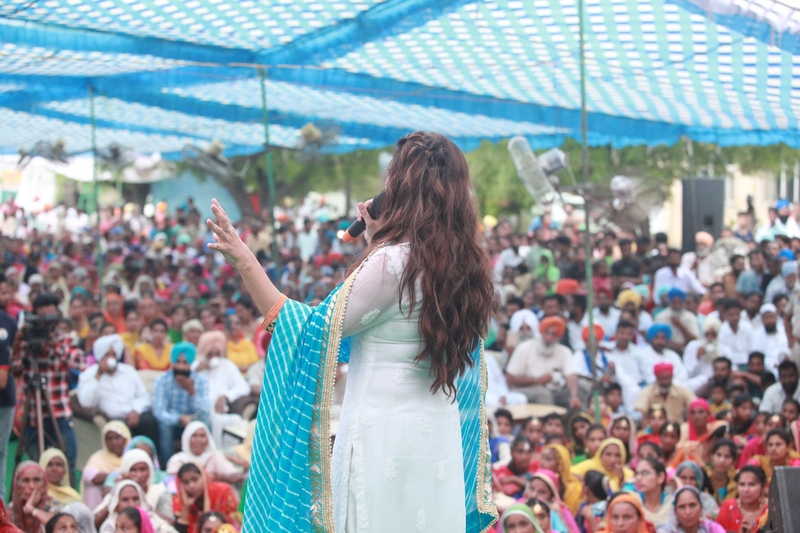 The Punjab Arts Council organized this cultural extravaganza ‘Teeyan Teej Diyan’ as part of the unique series ‘Pind Waajan Marda’ (Village Calling). 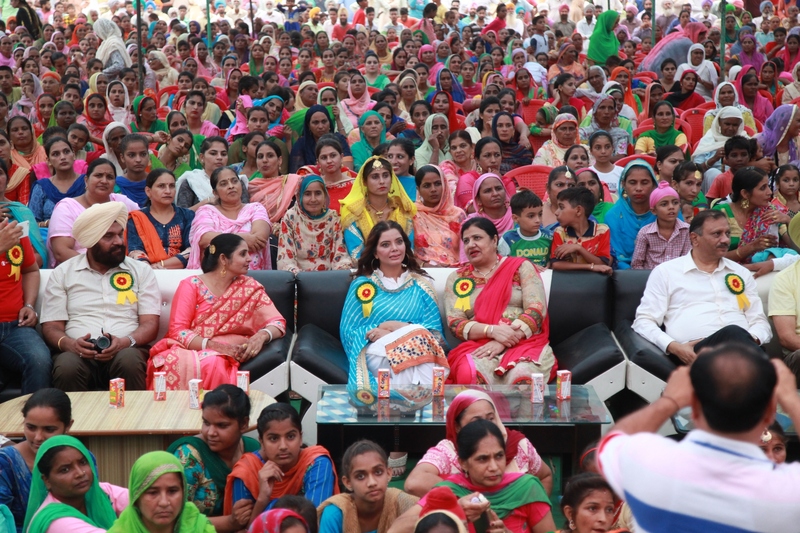 It was an attempt to bring people across Punjab, especially in small towns and villages, on a common platform, and give them a glimpse of our rich customs and traditions. The series under the dynamic guidance and initiative of the Tourism and Cultural Affairs Minister, Punjab, Mr. Navjot Singh Sidhu has been conceptualized and designed by Satinder Satti, Chairperson of the Punjab Arts Council. “The idea of organizing this festival is to connect to our roots, as many villages are turning into cities. We need to look back at our rich past and its so many wonderful facets. Our effort is also to bring to the people of cities closer to forgotten folk traditions and give performers a platform to showcase their art all across Punjab,” said Satinder Satti.